The thing that a lot of gamers and even developers forget sometimes is that simple interactions that wouldn’t play on a standard display can shine in virtual reality. 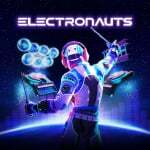 Electronauts recognises that, placing you on a cosmic stage hurtling through space and arming you with a series of instruments. There’s very little “game” to speak of here, but as an interactive piece of software, it’s thoroughly entertaining. There are around 50 songs included in the package, many from artists you’re unlikely to have heard of; we recognised The Chainsmokers among the roster, but most of the bands seem to be relatively unknown. That’s okay, though, because the music is enjoyable for the most part – and it’s varied, too, spanning everything from disco to house to hip-hop to trap. 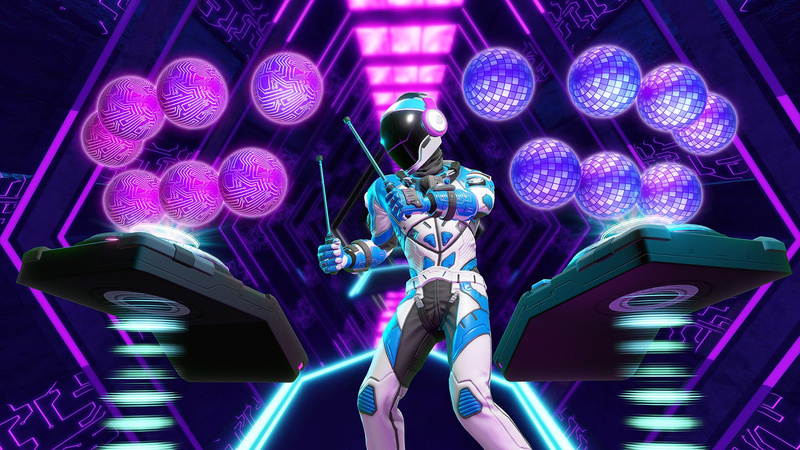 The way the game works is that you’re placed in front of three tables, each of which can be equipped with a different musical module or instrument. 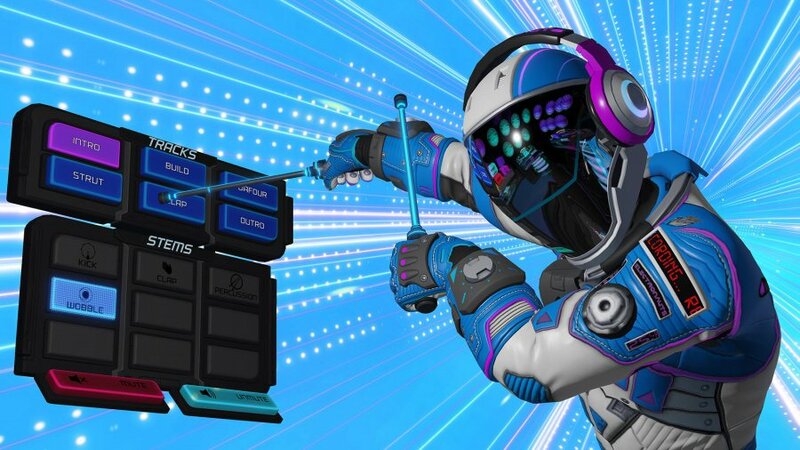 Using a pair of sticks operated by the PlayStation Move wands, you can drag and drop the components that you want to use and interact with them. Sometimes you’ll be triggering samples with a palette of orbs, other times manipulating loops. Exactly what you do with the musical canvas is up to you. You can record bars of music by holding the Move button and playing sequences, and then you can re-order the notes like you would in a digital audio workstation. These segments can be muted and unmuted manually, or applied to a larger arrangement panel where you can build up your own songs. What’s particularly neat is that the title maintains a sense of “play” throughout. Muting and unmuting samples while hammering away at a harp and dropping in vocal stings is intuitive but most importantly interactive; you can really get into the zone, and once you start “feeling” the music you can lose hours just building up a composition and performing it “live”. It’s important to note that the game has been designed with non-musicians in mind; everything is in-key and in-time, and it can be hard to create something that sounds truly horrendous. Obviously this means that you can enjoy the program with zero musical knowledge, but it also limits the creativity to a degree; you’re not going to be making anything truly original here at all. That said, you can get imaginative with your remixes, and the fact that you can do it all off the cuff through experimentation is entertaining. The visuals are crisp in PlayStation VR, and because the experience is generally quite stationary, there’s no danger of motion sickness; we played for a good few hours in complete comfort and still could have carried on for longer. Electronauts’ slickly presented, highly interactive sound stage makes for a thoroughly entertaining musical application. 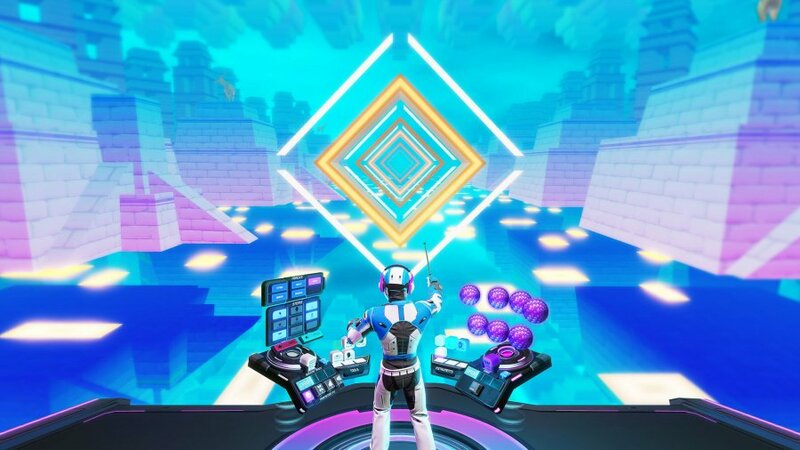 It’s so easy to get into the groove as you remix songs in virtual reality, and while you probably won’t recognise a lot of the artists included, the songs are solid and easy to manipulate. Veteran musicians may long for a little more control, but by emphasising accessibility, this is a game that everyone can enjoy. I wish that I was still in my rave going, recovery party stage of my life, coz this would be amazing under the influence.